In addition to their restoration and education goals, AmeriCorps inspires volunteers from around Okaloosa and Walton Counties, as well as alternative spring breakers, to make a difference. In 2017-2018 alone, they worked with over 550 volunteers who served 1420 hours on reef building, coastal clean-ups, and outreach events. 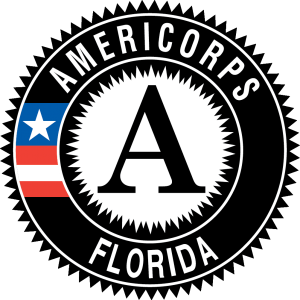 The AmeriCorps NWF Environmental Stewards are funded through the Corporation for National and Community Service (CNCS) and overseen by Volunteer Florida, the lead agency for volunteerism and national service in Florida. Volunteer Florida’s mission is to strengthen Florida’s communities through national service, fostering volunteerism and leveraging resources which is supported by the Florida Governor’s Commission on Volunteerism and Community Service. 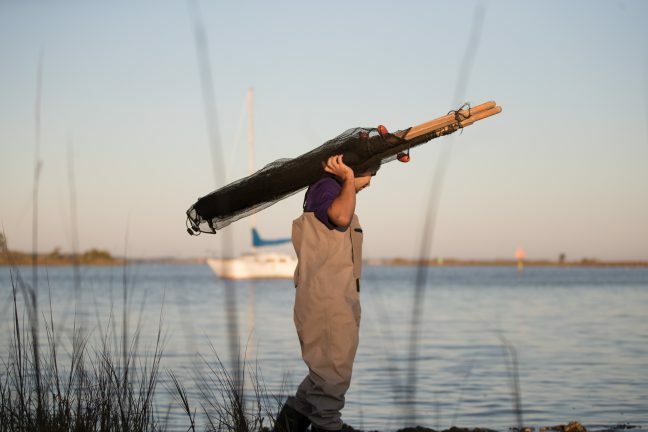 Though most AmeriCorps programs across the United States have one central focus, this chapter is unique because each year members strive to both educate young students about their local ecosystems as well as improve that habitat through living shorelines and invasive species removal.